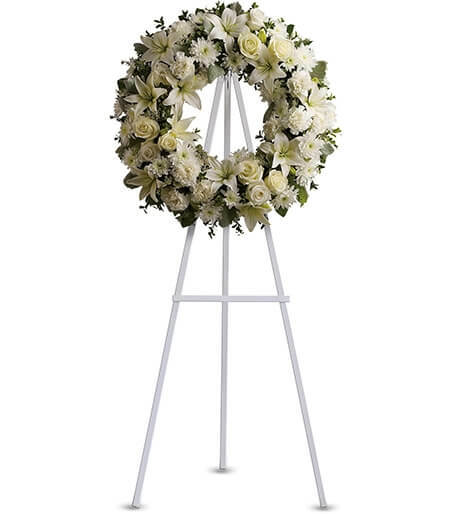 A wreath of red roses displayed on an easel. 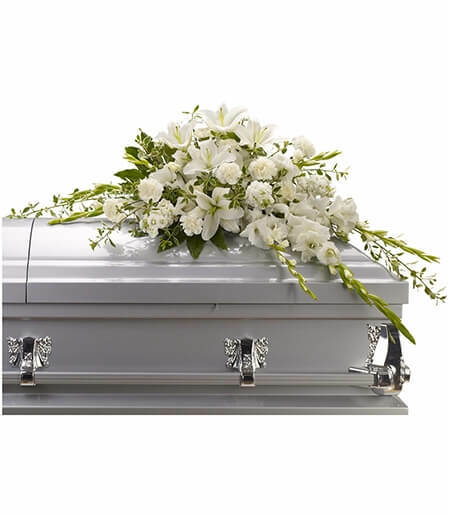 Appropriate for funeral home. 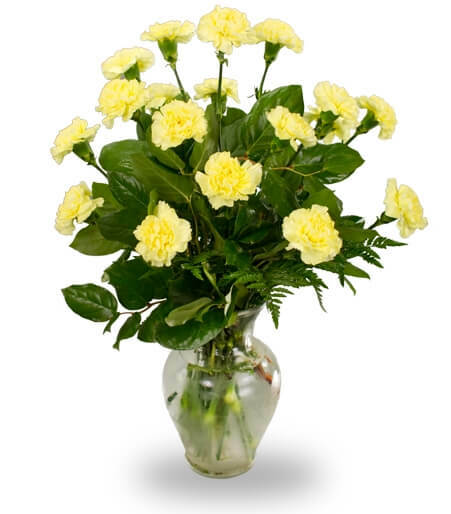 Eighteen carnations accented with greens in clear glass. 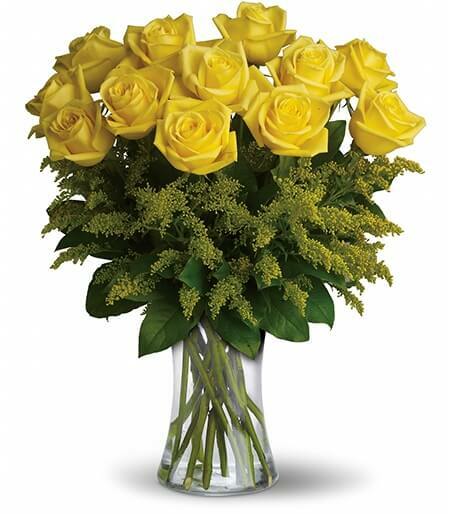 Shown in yellow, but color may vary. 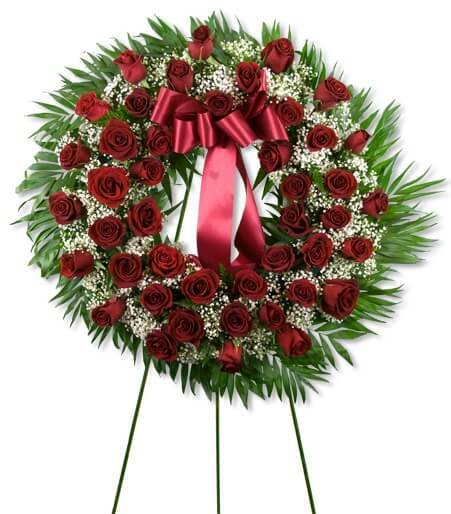 The Rose Bouquet employs a soft assortment of roses to create a sweet and stunning arrangement. 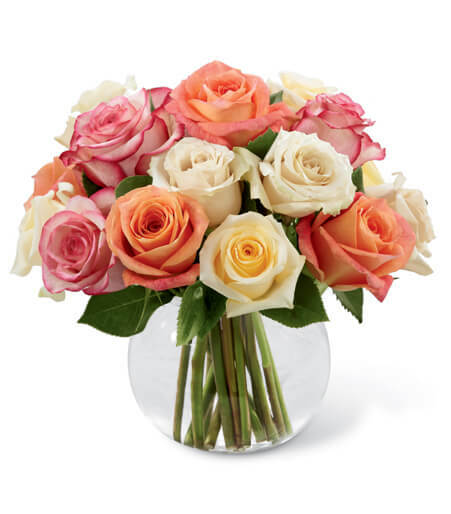 Cream, white, orange and pink roses are simply brought together in a clear glass bubble bowl vase to make an exquisite flower bouquet set to warm their heart when extending your warmest wishes for their birthday or just to say thinking of you. 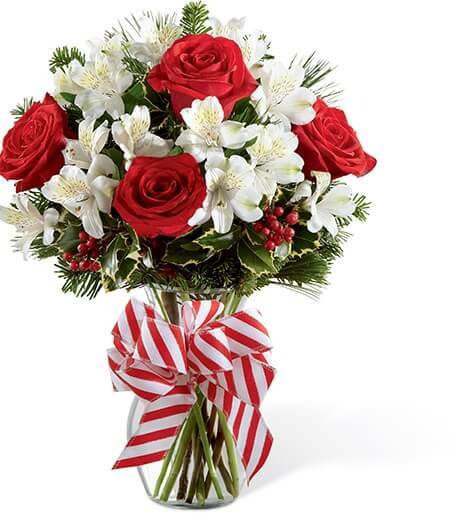 Flowers Across America makes it easy for you to send flowers to America from Germany. Your credit card company will automatically convert your purchase to EUR - we accept every kind of major credit card. 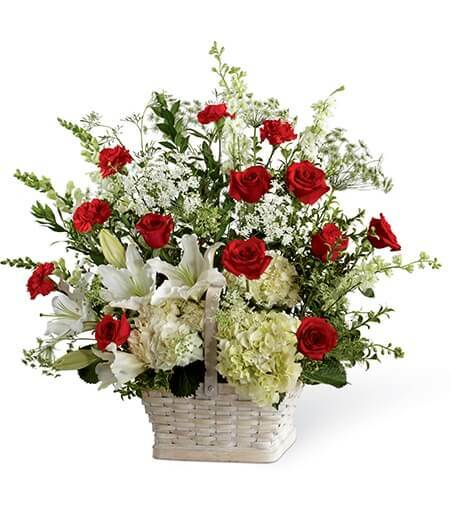 Germany florists will charge you a large wire fee to transfer the order to an American florist - place your order directly with Flowers Across America and save money and time - start shopping below!